In a Nutshell: When unexpected situations arise, fast access to a loan can make a big difference in personal and financial wellbeing. Cash Advance connects consumers in need to an extensive network of lenders offering loans from $100 to $1,000 that can be delivered in as soon as one business day. To keep users safe, Cash Advance secures transmission and storage of sensitive consumer information. It also provides resources like scam alerts and informative articles that address aspects of online consumer finance and security. In 2017, MarketWatch reported that more than half of American consumers had less than $400 saved to cover emergency expenses. When circumstances arise that call for ready access to cash, a large segment of the population has limited options for meeting those needs. Some use credit cards to cover costs or secure a loan from a friend or family member. But, if those aren’t options, they may need to take out a personal loan. When such urgent situations arise, and consumers have nowhere else to turn, companies like Cash Advance can be a lifesaver. 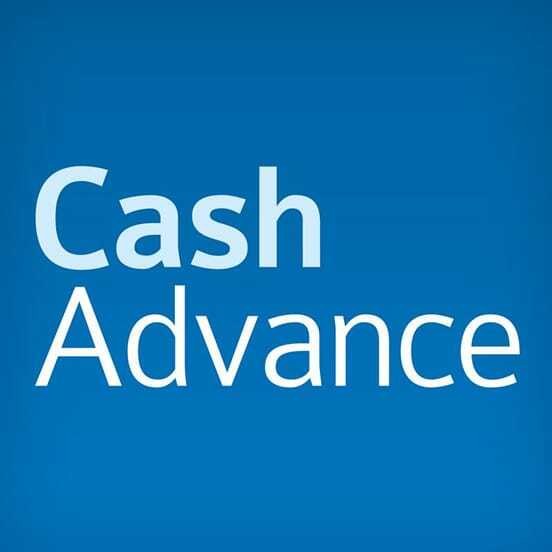 Cash Advance has been in business since 1997, and the service connects consumers to a vast network of lenders offering loans from $100 to $1,000. Cash Advance is not a lender itself — and the service it provides is free — so borrowers aren’t pressured into taking on a large loan. Instead, the company is dedicated to helping consumers find a loan for their situation and, through sophisticated security measures, protecting borrowers in their time of need. Personal loans are often paid back in installments that, if missed, can incur large late or nonpayment fees, accrue high interest, and substantially damage the borrower’s credit score. But, sometimes, those loans are necessary for consumers to carry on with their day-to-day lives — for example, if an emergency car repair is needed for the borrower to commute to work. Cash Advance is transparent about the process, and suggests that borrowers not take out loans they can’t pay back quickly; otherwise, they can become a more significant financial burden. Cash Advance recommends using short-term loans as a last resort and only if borrowers can repay the loan before their next payday. If that’s the case, Cash Advance stands ready to help them get the money they need to pay for the sudden expenses that life sends their way. Cash Advance is open to anyone 18 years or older who is currently employed. Borrowers must be citizens or permanent residents of the United States, and they must have a take-home paycheck of at least $1,000 per month, after taxes. Users will also need to supply their current phone number and email address when submitting a loan request. After users submit their online loan request forms, Cash Advance attempts to connect them with one of the site’s lending partners. If connected with a lender, the consumer may need to submit additional information, and the lender may perform a credit check — Cash Advance, however, will not. The borrower can review the loan offer, including the amount, terms, rates, and repayment schedule. If he or she accepts the offer, the borrower can receive funds via direct deposit in as little as one business day. However, the consumer is under no obligation to accept a loan, and rejecting it is as simple as closing the web browser. Consumers can also submit another loan request form to see if they are eligible for loans from other lenders. Cash Advance provides customer support via telephone and email to help borrowers through every step of the lending process. While representatives cannot provide assistance with or answer questions about specific loans, they can help consumers with loan requests. “The customer support team is trained to be courteous, patient, and to respond to questions promptly and with the requested information,” the Cash Advance representative said. Submitting a request for a loan requires the borrower to provide both personal and financial information, and Cash Advance takes user security seriously. It employs physical and digital safeguards in compliance with federal law, including 256-bit encryption of all personal information submitted through the site. This data is shared only with lenders and financial service providers partnered with Cash Advance — and all information is stored at secure locations. Cash Advance helps its users avoid scams through alerts, borrowing resources, and an archive of informative articles. Cash Advance is a member of the Online Lenders Alliance, an organization that sets industry standards and best practices for financial technology companies offering loans online. By observing these guidelines, Cash Advance strives to provide premier service and resources to help consumers make an informed decision about borrowing and remain safe when doing so. To meet the latter requirement, Cash Advance uses Secure Socket Layer (SSL) technology — the means by which a server verifies its identity when communicating with a web browser. SSL allows a user to establish a secure, uniquely encrypted connection with a Cash Advance server. All information is encrypted using a public key but is decrypted using a unique, private key, without which information remains inaccessible. Cash Advance’s security measures are tested daily, ensuring that online borrowing is safe and doesn’t become a liability for its users. On Cash Advance’s state information portal, borrowers can educate themselves on specific lending regulations and criteria. Users can select their state and learn whether loans are available, the maximum loan amount allowed by law, and a term range for loans. It also provides contact information for the state regulatory authority should they have any questions or concerns. “Cash Advance’s goal is to provide the necessary information so that consumers can make an informed decision when they request a loan on our website,” the Cash Advance representative said. Another way Cash Advance accomplishes that goal is by providing a variety of resources to online financial customers. 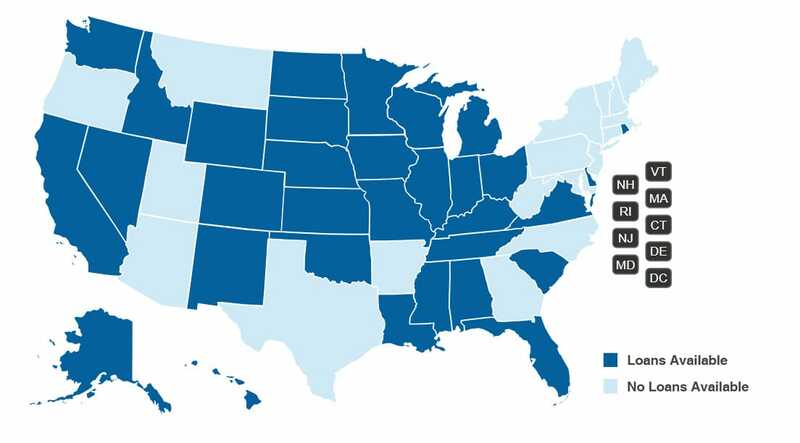 Cash Advance is available to residents of most U.S. states, and users can easily check if they qualify. Cash Advance also provides a Scam Alerts page that spotlights fraudulent schemes consumers may encounter. It describes common tactics scammers use to trick or coerce people into turning over money or sensitive information. This helps potential borrowers stay informed on current threats. Users can take advantage of the Scam Report form to alert other consumers to a threat they’ve encountered. This also helps draw the attention of relevant law enforcement officials, increasing the chances that an investigation will track down the perpetrators, stop the scam, and prevent others from falling victim. Cash Advance also maintains a library of informational articles with topics including identifying scams, news about current and ongoing scams, ways to protect personal information online, and how to avoid predatory lenders. These resources help borrowers stay current on news and events pertaining to the consumer finance industry and gain knowledge that will help them safeguard themselves and make educated borrowing decisions. To help borrowers keep emergency loans from becoming liabilities, lenders in Cash Advance’s network offer an auto-debit feature. This option automatically withdraws loan payments from the user’s checking account on the due date. Paying via auto-debit helps borrowers avoid defaulting on their loan, incurring late payment fees, accruing additional debt, or damaging their credit score. And if the need for a loan arises again, Cash Advance makes the process even easier. The service is free to use as often as necessary, and returning users can quickly connect with other lenders. When returning users log in, their next loan request form can be automatically filled out for them. They need only input their next pay date, verify that their information is accurate, make any changes that are necessary, and begin searching for their next loan. Despite the ease of the process, Cash Advance wants users to observe responsible borrowing practices to avoid falling into serial borrowing. Taking out a loan to pay off a previous loan perpetuates the cycle of debt and could keep the borrower in a poor financial situation. It can have severe repercussions on the consumer’s credit score — and other aspects of personal finance — while also limiting their access to loans and credit in the future. When used responsibly, online lending can be a tool that helps consumers deal with unexpected and urgent expenses. For borrowers who can pay off a loan without undue hardship, Cash Advance presents a safe, efficient means of securing funds whenever emergencies arise.